Your anti-lock brake system, or ABS, consists of a hydraulic control unit (HCU), an anti-lock brake control module and both front and rear anti-lock brake sensors. When you apply the brakes, you essentially force brake fluid from master cylinder outlet ports to HCU inlet ports. From the HCU, pressure is transmitted through four solenoid valves to each wheel and your vehicle comes to a stop. During an emergency stop, the ABS modulates brake pressure in order to prevent wheel lock-up. If you would like to learn more about ABS, we invite you to drop by Meineke #726 in Jersey City, NJ. Our friendly specialists know all about anti-lock brakes and how to care for them. Brakes are the most important safety feature on your car. While people sometimes procrastinate on repairs, a problem with your brakes means that you should stop driving your car and get it checked right away. A crucial part of keeping your brakes in good working order is using the right brake fluid and replacing it on time. There are several types of fluid, including silicone brake fluid and mineral brake fluid. Failing to replace brake fluid on time can cause it to absorb a high percentage of water and compromise your brakes’ function. 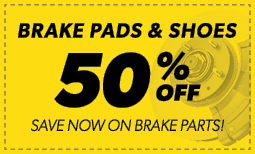 To get an estimate of brake fluid cost for your car, speak with technicians at Meineke #726 in Jersey City, NJ. As long as they appear to work as they should, you probably give little thought to the condition of your anti-lock brakes. However, you may begin to hear a screeching noise when you use your brakes or feel a vibration in the brake pedal. You may also find that when you apply the brakes, they seem less responsive than usual, or that your car seems to be pulling to one side or the other. These are all signs that it’s time to let the specialists at Meineke #726 in Jersey City, NJ, perform a thorough brake inspection. If your ABS fails, you can find yourself in a potentially very dangerous situation. Your anti lock system is what keeps your car from skidding or hydroplaning when you brake. For this reason, it is important to pay attention to signs that your brake system is impaired. One of the most common signs of an ABS problem is difficulty in applying the brake pedal, whether it offers more resistance or less than usual when you press it down. This type of problem is frequently related to brake fluid leakage or clogs and can arise whether you use silicone brake fluid or mineral brake fluid. 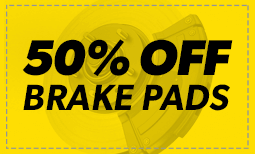 If you notice a difference in brake pedal resistance, get your system checked at Meineke #726 in Jersey City, NJ. While some types of brake problems can be fixed by replacing the brake fluid, others need a more fundamental system overhaul. The top sign that a replacement is needed is noticeable loss of function in your breaks. If you are pressing your pedal and encountering no resistance, this could be a sign of systematic failure. If your ABS system is kicking in during normal driving, it may need to be replaced. 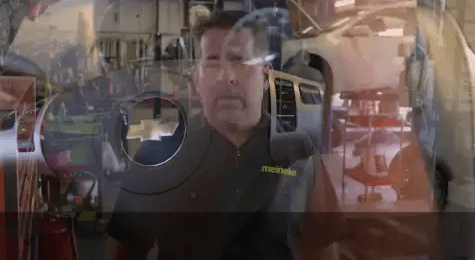 Get a better idea of replacement brake and ABS system cost by speaking with representatives at Meineke #726 in Jersey City, NJ. Anti-lock brakes need professional service and repairs to maintain the components that must work together efficiently. We have mineral brake fluid and silicone brake fluid to keep your system operating in peak condition. Before you come down to Meineke #726 at Jersey City, NJ, stop by the coupon section of our website for great deals designed to help you save money on car repairs. We can also install new anti-lock brakes on older cars to keep you safe under any type of driving conditions. ABS technology is a great addition to any vehicle because it is proven to be effective in reducing accidents on the road.